Our range of products include milky white pebbles stones, natural pebble stones, decorative pebbles stones, agate pebble stones, river gravels pebble stones and water treatment filtration pebbles stones. 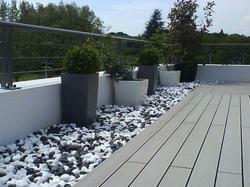 We provide cost effective solution for landscaping and decoration through our Milky White Pebbles Stones. Our pebbles are widely demanded various decorative applications of any landscape including homes, parks, aquaria and artistic monuments. We are offering Natural Pebble Stones to our clients. 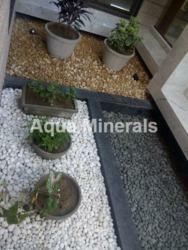 We provide cost effective solution for landscaping and decoration through our decorative white river pebbles. Our natural Decorative Pebbles Stones are handpicked as per our buyer’s requirement and double washed.Our natural decorative pebbles cost much lower than polished tumbled pebbles. We are offering Agate Pebble Stones with special shine and texture for decoration to our client. Our white agates are widely demanded various decorative applications of any landscape including homes, parks, aquaria and artistic monuments. 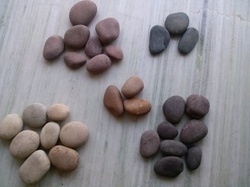 We are offering River Gravels Pebble Stones to our client. 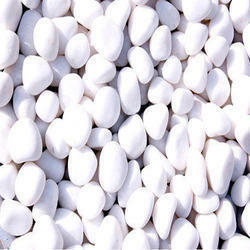 We are offering Water Filtration Pebbles Stones to our client. Aqua pebbles are double washed, kiln dried, screened and classified into various sizes to meet different specifications with strict adherence to quality control.Aqua pebbles used extensively in water filtration (ETP, WTP, STP), water harvesting and borewell. Pebbles sizes:02 – 05 mm, 05 – 08 mm, 12 – 20 mm, 35 – 50 mm, 70 – 250 mm. We are offering Borewell Pebbles Stones to our client. We are offering Water Filter Pebbles Stones to our client. Pebble Stones are primarily used for the purpose of landscaping, making pavements and pathways. Our range is known for fireproof, and Low maintenance. These are available in various colors and shapes, which provide natural finish. Our range is in high quality that it does not change and loose its texture in various weather conditions. Banking on our industry experience, we are capable of meeting bulk orders within the given time frame. We are among the celebrated names in the industry, engaged in offering Landscaping Pebble Stone for our customers. 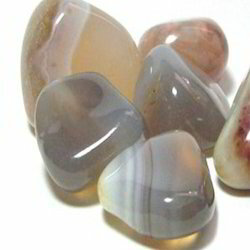 The offered stones are made available in several sizes and shapes for the convenience of the customers. 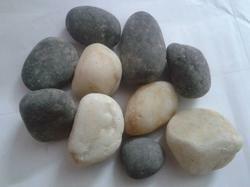 We are offering Water Filtration Pebbles Stones to our clients.